Happy New Year! It is that time for New Year’s resolutions! We hope that at least a few of your resolutions are related to improving your health in 2014. An easy way for us to help is to encourage our members to take advantage of all of our programs and facilities. Incorporating variety into your fitness routine will improve the results. An effective exercise program includes cardiovascular exercise, strength training and flexibility work. If you are missing any of these components from your fitness regime you are not getting the biggest bang for the buck from your exercise program. Help improve your health in 2014 by mixing up your routine and utilizing all that we have to offer. Personal training is one of the fastest, easiest, most successful ways to improve your health and fitness. If you do not have the knowledge or skills to take advantage of everything we have to offer I would suggest you hire a personal trainer who will give you the guidance to succeed. There’s a reason the stars and business moguls use personal trainers – to help make the lifestyle changes they cannot achieve on their own. In the fitness section I cover many of the reasons why you should consider hiring a trainer. With the guidance of our trainers, Patti and Jarrod, you can make this the year you achieve your health and fitness resolutions. On January 4th and 5th we held our annual cash doubles tournament for our 4.5 and higher players. Lots of fun, food and drink were had by all. Members competed for $300 plus in cash prizes with Calle Hansen and Matt Shumway walking away with most of the dough. Something seems a little fishy when Calle walks away with the cash! Next year we’ll have to make him play left handed!! We’ll be holding our Super Bowl Sunday Tennis Tournament on Sunday, February 2nd. The tournament is open to all ages and levels but players must be able to play doubles. Team t-shirts, BBQ and drinks are all included in the price. If you are mathematically challenged you might want to bring your calculator because scoring will be football style. We’ll wrap up the day with a football throwing contest with prizes before you head home for the game. Hope to see you out there. As you may have noticed we have had quite a few contractors on the property putting the final touches on their plans. This will continue for another 2 to 3 weeks. Shortly thereafter the prep work for construction will begin. This includes developing a staging area adjacent to the pool for construction trailers, equipment and materials and fabrication of a new construction entrance near court 1. Once that is completed we will demolish court 1 and begin the “Big Build.” Once we have a definitive time line for everything we will share it with you. With the on-going drought situation in California we would like to ask our members to be cognizant of their water usage. In order to help out we ask you to keep your shower times to 5 minutes or less. While we already help by utilizing recycled water for watering the plants and cleaning the courts we will also minimize the usage of regular water for maintenance items such as washing down the sidewalks. Thanks in advance for doing your part to reduce your environmental footprint. Improve your overall health. The primary reason people hire personal trainers is to get professional assistance to improve cardiovascular health, strength, flexibility, balance and coordination. A personal trainer will monitor your progress and fine tune your program to avoid plateaus. Maintain a healthy weight. Body fat reduction and body toning can be achieved with the aid of a personal trainer who can help you set realistic goals and safe strategies to attain those goals. Learn to stick with it. Sticking with well-intentioned plans is one of the biggest challenges exercisers face. Qualified personal trainers can provide motivation for developing a lifestyle that places a high priority on health and activity. Focus on Your Unique Concerns. 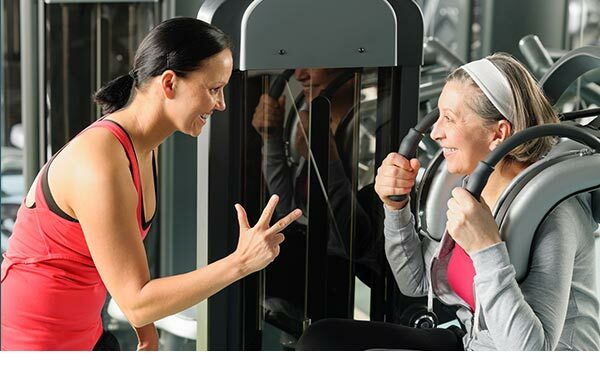 If you have special needs, such as arthritis, diabetes or obesity, a personal trainer can help you address those issues. Your personal trainer can work with your physician, physical therapist or healthcare provider to plan a safe and effective program to enable you to reach your health goals. Find the Right Way to Workout. You will learn the correct way to use equipment to maximize your results. Stop Wasting Time. Get maximum results in minimum time with a program designed just for you. Learn New Skills. Want to improve your tennis game, better your weekend warrior activity or golf like a pro. An individualized program will improve your overall conditioning and develop the specific skills you need. Enhance Your Mind, Body and Spirit. Many personal trainers provide mind-body activities, such as Yoga or tai chi sessions that can help you uncover new insights about yourself or uncover potential you did not realize you had. Benefit from the Buddy System. You are much more likely to succeed if you make a regular commitment to regularly meet with someone who will provide you with individual attention and support. Take Charge of Your Program. With the right personal trainer, you can find the exercise program that works best for you. You can get fit and healthy your way and take ultimate responsibility for your own health. Professional tennis players are some of the best athletes in the world. Tennis involves strength, speed, agility, footwork and endurance to last the match. Getting more court time to practice your stroke is important, but even for recreational players, sports-specific conditioning is the key to improvement. Strength Training: Strength training increases the power of your shots and minimizes injuries by protecting the joints that are subject to repetitive stress. Try a combination of dumbbells, resistance bands and cable machines. Focus on the whole body – legs, arms, back, shoulders and the core. Try a circuit style workout moving from exercise to exercise. Make sure you incorporate rotational movements and balance exercises. Plyometrics: Speed and agility training are critical for tennis players to get to the ball faster and recover for the next shot. Plyometric exercises like squat jumps, split lunges and box jumps can help prepare the body for those quick moves. Incorporate side-to-side lateral hops and jump rope for improved footwork. Cardio: In sports, sometimes the only way to win is to outlast your opponent with greater stamina. Build your aerobic base through cardio workouts like cycling or lap swimming. Tennis involves bursts of intense physical activity followed by short periods of rest. Incorporate interval training, like suicide runs (sprinting between 2 or more predetermined points), to work on speed and endurance. Stretching: Stretching helps prevent muscle soreness and reduces the potential for injury yet it is the most overlooked component of most exercise routines. Set aside 10 to 15 minutes per day for stretching and you will decrease the potential for injury and increase your competitiveness on the court. Kick from the hip. 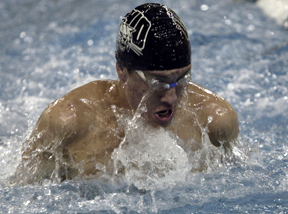 Many swimmers bend their knees while they are kicking. This creates large amounts of drag and is probably the number one reason for a swimmer’s legs to sink low in the water. Instead of kicking from the knee you should kick from the hip with a relatively straight leg. Plantar flexed feet. Plantar flexion is technical jargon for pointing your toes. When you swim you should always have your toes pointed, this presents a much lower profile to the water and reduces drag. Not pointing your toes will push water forwards when you kick, slowing you automatically. Ankle flexibility. Many athletes have poor ankle flexibility limiting how much they can point their toes. In an ideal world you want to be able to flex your ankle beyond straight. For most of us this is not possible but improving your ankle flexibility a little so you can point your foot straight is achievable. Timing. The timing of the kick is something we don’t normally think about as swimmers. The key to good timing is that when the hand enters the water at the front of the stroke, the opposite leg should kick. If your timing is wrong you won’t be helping your body rotation with your kick – you could even be countering it.